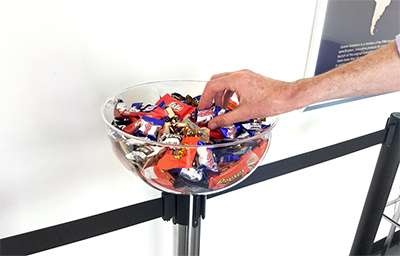 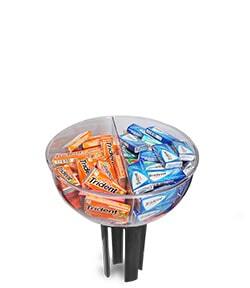 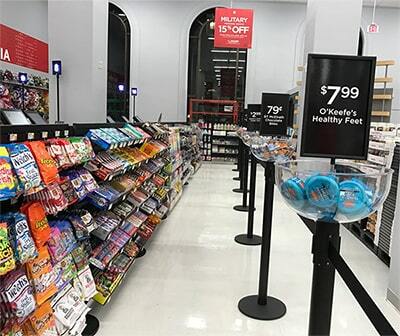 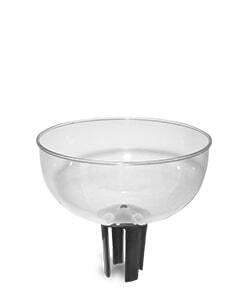 Display Bowl is an ideal fixture for those small impulse items suited for sale in the checkout line. 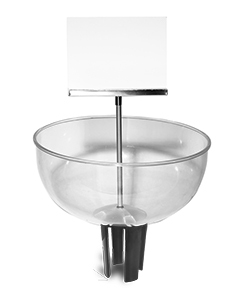 Fits to the top of the queue barrier; adapters are available to fit all major barrier brands. 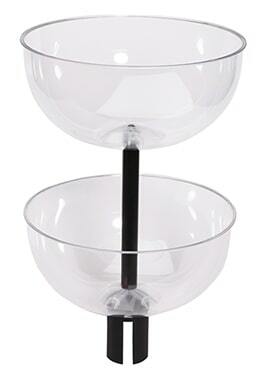 The twin bowl configuration doubles the merchandizing capacity of each stanchion for the same size footprint. 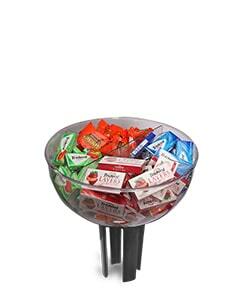 Signage and dividers can be fitted to the top bowl. 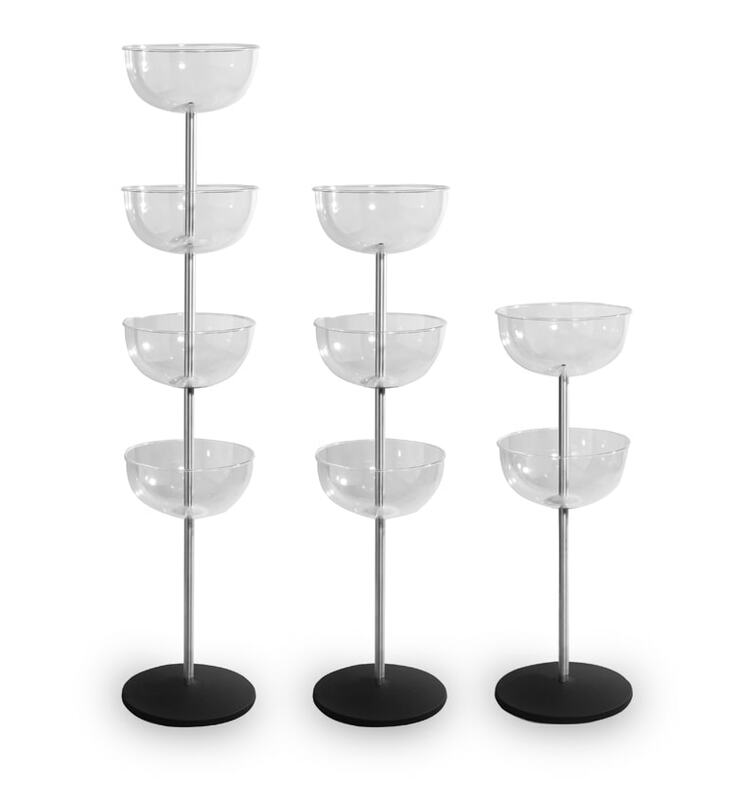 Material : Polycarbonate Diameter : 12.5" Height : 50" / 40" / 30"
Depth : 5" Weight : 3.2 lb Post Diameter : 1"
Weight : 1.2 lb Base Diameter : 14"